Viva Las Vegas! The Sin City is not only good for gambling and partying. Vegas is as well a mountain biking spot. 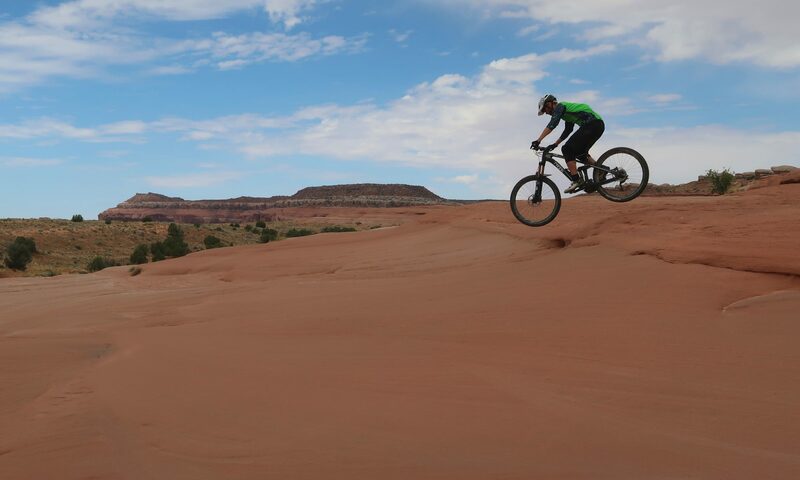 The best trails are located southwest of LV in the Blue Diamond/Spring Valley area. I took “Good Call” to climb uphill. At the top of the mesa it connects to “Ike’s Peek” with gorgeous views on downtown LV. “Legalize It” runs mildly exposed alongside the cliff and connects to “Menny Thanks”, a fast downhill trail with jumps over ledges – somehow like Rock’n’Roll.